How did you become a self-nurturing mentor? I have been blessed to do what I love – counseling people – for over twenty-five years. I hold up a mirror of possibility for my clients and nurture them through the process of making intentional choices to improve their lives. I have counseled individuals, couples and families around issues of domestic violence, substance abuse, mental illness, trauma and abuse, grief, health issues, transitions and other major life challenges. The most common theme that clients face is feeling overwhelmed and unable to see a way to transform their situations. In addition, most of them struggle not feeling good enough and not valuing their own worth. As a result they focus on caring for everyone in their lives except for themselves leading to more stress, exhaustion and overwhelm. Now I believe that we teach in life what we most need to learn and that has certainly been my experience. I too have experienced tremendous stress in my life and often have not prioritized caring for myself. A major factor contributing to my chronic stress has been the significant health challenges that both my daughters have faced. My older daughter had her first seizure at preschool at age 2, which lasted 55 minutes and she almost died. Her journey with epilepsy has been unpredictable and challenging in so many ways and I lived many years in a constant state of worry not knowing when the next seizure would occur and how much she would be impacted. My younger daughter had a series of serious health crises when she was very young which prompted me to quit my beloved job at a non-profit, counseling women and children rebuilding their lives from domestic violence, in order to care to care for her. Having worked outside my home for most of my life, the transition to becoming a full time parent was very challenging. I struggled to define who I was, what my purpose was and how I was making a difference in the world, no longer working with a large number of people. This transition was especially difficult because of the death of my father and the profound sense of loss I was experiencing on many levels. As my younger daughter’s health improved, I began exploring how else I could use my creativity and I started my own business creating healing, intention inspired gemstone jewelry. I also began consulting for the Epilepsy Foundation and facilitated a support group, which over time grew into providing epilepsy training, educational support and advocacy and support services to families impacted by epilepsy. Although making the decision to quit my job to stay home full time was very difficult, I am incredibly grateful that I had the space to both start my own business and be available for my older daughter as the impacts of her epilepsy increased. She began to suffer with migraines after each seizure and experienced difficulty in school and in life in general. Her epilepsy then unexpectedly morphed into chronic daily migraines and we spent the next few harrowing years searching for a solution to her suffering. The stress of my daughter’s chronic pain and my feelings of responsibility to find a solution weighed heavily on me and I became increasingly overwhelmed, exhausted and depressed. I was trying to balance caring for my family, running my own business, volunteering at my daughters’ schools and my faith community, and working at the Epilepsy Foundation, with all the responsibilities of supporting and advocating for my daughter who was in crisis. Caring for everyone in my life except for myself led to a crisis in my own life as I realized I could not be the parent, wife, counselor, friend, or person I wanted to be when I was so overwhelmed and exhausted. I was in desperate need of self-nurturing as I was giving more than I had to give. I have shared the journey of finding this clarity in my story, “The Daily Choice of Joy” in Cultivating Joy. I noticed that there were many other women struggling with this same challenge, taking care of everyone else except them selves. So I read all I could find on self-nurturing, took multiple workshops, went on yoga retreats, participated in on-line women’s support communities, took an eight week Mindfulness Based Stress Reduction Course and tried a wide variety of self nurturing activities. I established my own daily self-nurturing practice, which had an incredibly positive impact in my life, my family’s life and my clients’ lives. In really caring for myself I was better able to care for those around me, improving my ability to be truly present with others, compassionate, patient, understanding, loving, and giving from a full heart. I was no longer exhausted and overwhelmed and found through a daily practice of self-nurturing that I was kinder and more loving to myself. 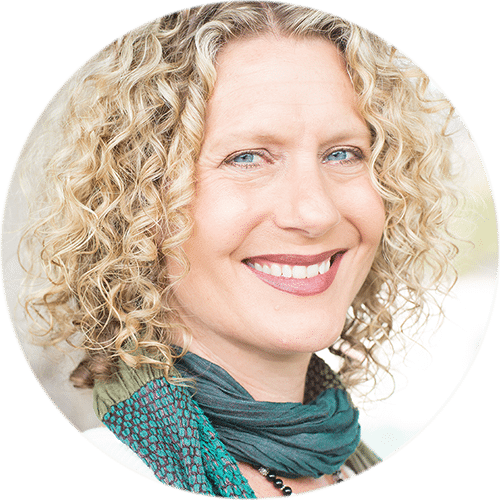 I was so excited about these amazing results from my own practice, that I created a self-nurturing workshop to share this wisdom and insight with others. After seeing wonderful results in my clients’ lives as a result of their new commitment to self-nurturing, I developed the Self Nurturing Practice System™ to help others create daily practices of their own. I integrated counseling into my original business and In Truth & Beauty was born. I offered my self-nurturing, mindfulness and creativity workshops, individual counseling and mentoring and my handcrafted products to support and reinforce my clients’ commitment to nurturing themselves. Recently my brand has blossomed into Cultivating Peace and Joy as it more clearly communicates the intention of my business. I have used my personal struggles and the profound lessons I have learned about self-nurturing to create a business that supports the health and wellness of individuals, couples, families and the community. I believe in the healing and transformative powers of self-nurturing and the ripple effects that are created by individuals prioritizing nurturing themselves. I am passionate about creating a world with more peace, love, compassion and joy and believe self-nurturing is the key. Self-nurturing saved my life and I feel inspired to share this empowering message with the world. I am thrilled and deeply grateful to be dedicating the rest of my professional life to supporting, inspiring and empowering individuals to nurture themselves – nurturing peace in the world from the inside out! Self-nurturing is the practice of caring for yourself, by deeply nourishing, cherishing and encouraging your own growth and potential in order to live with more peace, joy and meaning. There are infinite possibilities when thinking about how to nourish your mind, body and spirit and each act of self-nurturing assists you in valuing yourself and encouraging your own potential and growth. A practice of self-nurturing helps you develop a relationship with yourself and thus allows you to live authentically in truth and beauty nurturing peace in the world from the inside out. Tell me more about the self-nurturing products? I have created products that support your self-nurturing practice and remind you to nurture yourself. They include journals, intention kits and boxes, Bali Blessing Bags to inspire your gratitude practice, intention inspired gemstone jewelry and malas and daily inspirations from the Cultivating Peace and Joy Mobile App. These products can be used as part of your self-nurturing practice both as a tangible reminder of your commitment to caring for yourself and as a daily practice tool of gratitude, intention, and inspiration. Since receiving my BA in psychology from the University of Colorado in Boulder in 1990, I have been counseling in the domestic violence, substance abuse and mental health fields. In 1995 I received a Master of Social Work degree from the University of Denver and have worked for a variety of nonprofits and been counseling clients in my own business. I have facilitated a support group for the Epilepsy Foundation for the past sixteen years and five years ago my role expanded to include counselor, educator, and advocate. Last year I also became a Field Instructor supervising first year Master of Social Work students for the Epilepsy Foundation. In addition, I serve as the Director of Community Engagement and an instructor for a wonderful nonprofit called Leap to Success, teaching self-nurturing, stress management, and personal and leadership development skills to women overcoming domestic violence, homelessness and other major life challenges. I work primarily with individuals who are devoted to caring for their families and careers. They want to experience more peace, joy and meaning in their lives, but more often than not feel overwhelmed by all of the responsibilities in their lives and taking care of everyone but themselves. They often feel guilty or selfish when taking time to care for themselves and only wish they knew where to start when thinking about nurturing themselves. What is the Self-Nurturing Practice System™? The Self-Nurturing Practice System™ provides all the steps needed to develop your own self-nurturing practice. Please tell me about your Self-Nurturing Workshops? The workshops are focused on different steps of the Self-Nurturing Practice System™. The first one is called “How to Begin Self-Nurturing” and is a three-hour workshop exploring the first two steps in depth and provides a holistic overview of developing a self-nurturing practice. The second workshop is called “Caring for Yourself Without Feeling Guilty or Selfish” and focuses on step two and three while providing a holistic overview of cultivating a self-nurturing practice. Each workshop participant receives a journal, gemstone and exercises to continue the process of reflection and home practice with inspiring quotes, poetry, reflection prompts and creative suggestions. All the workshops provide a nurturing and supportive environment to explore these many aspects of self-nurturing and try out different practices. You are then encouraged to add the nurturing activities that resonate and support you into your self-nurturing practice. Creativity is woven into all the workshops in some aspect. Do you offer packages in order to support me in cultivating my self-nurturing practice? Yes! I believe that self-nurturing improves every aspect of your life and is how we cultivate peace, joy and meaning. Committing to cultivating a self-nurturing practice is what these In Truth & Beauty packages support you to do! Investing in yourself is the first step to nurturing yourself and transforming your life of stress, overwhelm and exhaustion into a rich and wonderful life filled with peace, joy and meaning. Each package includes individual sessions, Self-Nurturing Practice Tools and the step by step plan, support and accountability to make long-term changes to improve the quality of your life, your relationships and your overall health and wellness! This three month accelerated package is for those who are serious about transforming their lives and want the comprehensive support and structure to do so quickly. This package includes a Comprehensive Self-Nurturing Assessment and Consultation, Weekly 30 minute Mentoring Calls with Kelley, 3 Self-Nurturing Workshops or Individual Sessions and a Nurturing VIP Day with Kelley. The Self-Nurturing Practice Tools in the Transformation Package include custom designed Power Necklace, Bracelet and Intention Box, a variety of Self-Nurturing Ebooks, Self-Nurturing Exercises and Journal, custom made guided meditations, and Private Facebook Group. This six-month package is designed for people who want to grow and develop their self-nurturing practice and need the support and accountability over time to integrate what they learn into their lives. This package includes a Self-Nurturing Assessment and Consultation, 30 minute Mentoring Calls every other week with Kelley and 3 Self-Nurturing Workshops or Individual Sessions. The Self-Nurturing Practice Tools for the Growth Package include an Intention Box, Power Necklace, Individualized Month by Month Self-Nurturing Plan, Growth Ebook and 30 Day Meditation Challenge Ebook, Self-Nurturing Exercises and Journal, Monthly Group Call and Private Facebook Group. This package is for those you want to increase how they value and cherish themselves and need the support and encouragement to do so. This package includes a Self-Nurturing Assessment and Consultation, six 30 minute Mentoring Calls with Kelley and 2 Self-Nurturing Workshops. The Self-Nurturing Practice Tools for the Cherish Package include an Intention Box, Power Bracelet, Cherish Ebook and 30 Day Loving Kindess Challenge Ebook, Self-Nurturing Exercises and Journal and Monthly Group Call. This package is for those who want to cultivate more inner peace and learn new mindfulness practices and need support, encouragement and accountability to maintain their practice. Additional emailed exercises and Inner Peace Workbook, Intention kit for daily practice, Journal and Custom guided meditations and the Arriving Technique mp3s to support your ongoing practice. What results will I get from working with you? The philosophy that guides my work as a counselor, author and self-nurturing mentor has always been to empower clients to live the lives they want to live regardless of the challenges they face. Speaking one’s truth, setting boundaries, expressing one’s authentic self, seeing life from an empowered perspective, valuing self-nurturing and developing a self-nurturing practice are some of the results you will get from working with me either individually or in a group setting. My intention is to start a self-nurturing revolution inspiring individuals to value themselves and empowering them to live authentically in truth and beauty through the practice of self-nurturing, nurturing peace in the world from the inside out. I offer scholarships for my Self-Nurturing Workshops. For every ten workshops purchased, one scholarship for a workshop will be given. So in addition to investing in yourself, you are helping another woman in need learn to value and care for herself. If you are in need of a scholarship please contact me directly through my website. I also regularly donate my self-nurturing practice tools and packages to silent auctions for fundraising for local nonprofits. I also volunteer extensively in my community and lead meditation, faith services, sing with a women’s group, and help in my daughter’s school. I am on the Advisory Committee for Hands of Peace bringing together Palestinian, Israeli and American youth to use dialog and relationship building to create peace and teach self-nurturing and mindfulness strategies to the staff and participants. I am committed to cultivating more peace and joy in this world through each interaction I have. Can I contact some of your former clients to see what it is like to work with you? Absolutely! You will see contact information in the “success stories”. Yes we do through Square and you can also pay thru PayPal. If I have more questions can I call you? Please feel free to call me at 760-889-4575. I would be happy to talk to you and answer any questions you have! Sign up for your free discovery call and start living with more peace, joy and meaning today living authentically in truth and beauty through the practice of self-nurturing!